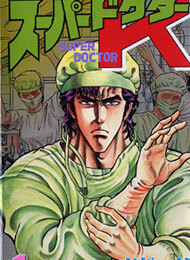 Kenshiro is a doctor? The more you know. ah, what a world this manga is set in… a world of great difficulty… a world where there are no gods (or perhaps with too weak gods)... a world ruled by demons… a world where this human has risen to the level of a god and has to fight against all manner of demons… it pains my heart to see such a scenario. do things like this truly exist even in these modern days? sigh. Please, make full pages or at least divide them well. Chapter 237 went a little out of order. Thanks in advance! Hello what chapter in novel is Soul Land 179 ? This arc is a little more interesting than the previous ones. Hopefully it keeps rolling like this. This series is all thats wrong with Wuxia-type series today. Corny, cheesy characters and scenarios, over-feminization of male leads, cringy artwork with snaggletooths, bad comedy, too much fanservice… It all just dilutes/distracts the quality of the plot and series in my opinion.